Over 400 pages of incredible art from one of the industry's hottest illustrators! 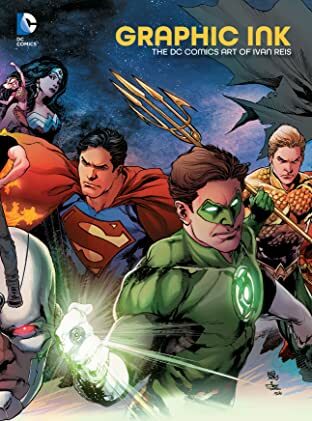 In more than 15 years of working for DC Comics, Brazilian artist Ivan Reis has illustrated nearly every part of the DC Universe, from classic superhero titles like GREEN LANTERN and JUSTICE LEAGUE to the bizarre worlds of Grant Morrison's INVISIBLES and MULTIVERSITY. Reis's heroic style and dynamic storytelling skills have made him one of the most adored and sought-after artists working today. And after such high profile projects as BLACKEST NIGHT, THRONE OF ATLANTIS and TRINITY WAR, Reis has cemented his place as an iconic part of the DC Universe. 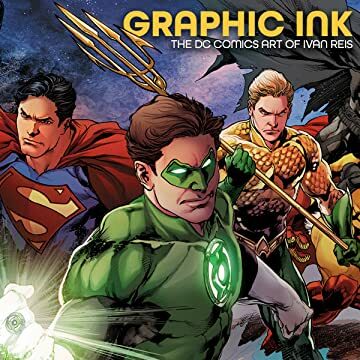 GRAPHIC INK: THE DC COMICS ART OF IVAN REIS collects comics and cover art from throughout the career of this fantastic artist-including many pieces that have never before been reprinted!